Ask a Florida resident where Orlando is located and you will probably hear, “the middle of the state.” The response is only slightly inaccurate. To be honest, Orlando is a bit closer to the east coast of Florida than the west coast. That’s why we were pleasantly surprised when we learned that more people than ever are adding beaches on the west coast to their Orlando theme park vacations. Theme parks in the Orlando metro region include Disney World, Epcot, Universal Studios, and Sea World. There are plenty of other attractions in Orlando too. The major theme parks have spawned loads of family friendly attractions in the area. After the theme parks have worn the kids out, however, you will probably have some days left on a one to two-week vacation. That’s where the beaches of Florida come into play. 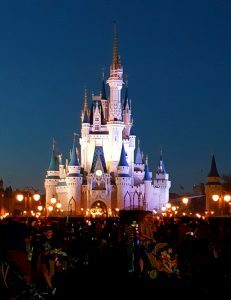 The closest beaches to Disney World are Cape Canaveral Beach, Daytona Beach, Cocoa Beach, and a half-dozen others. Those are all on the east coast of the state and average 70 miles/112 kilometers. In contrast, the closest beaches on the west coast of Florida are Clearwater Beach through St Pete Beach, at a distance of 90 miles/145 kilometers. The difference is not that significant. However, if you peg the Orlando-proper as the starting point, the east coast will seem much closer. In reality, vacationers are free to choose either coast without much difference in travel time. That no-so-difficult-to-figure-out secret is obviously out of the bag, with more and more people saying they are headed for the western beaches instead of the eastern ones. While we have to admit that the eastern beaches are pretty nice, they don’t have the powdery white sand of those on the west coast do. 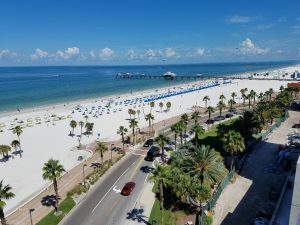 Clearwater Beach won a designation for Best Family Beach not long ago, probably due to the fun atmosphere created at the Pier 60 Nightly Sunset Festival and the by the multitude of boat rides available for reasonable rates. With a family vacation already in swing from a trip to a theme park, it’s nice to know that the fun can continue at the beach. The beaches from Clearwater Beach to St Pete Beach all have some form of family entertainment nearby, usually in the form of activities like cycling or boat rides. You can also count on a wide variety of dining opportunities, one of the many choices certain to make your group happy. So, if you are planning to hit the beach after your theme park vacation in the Orlando area, think about joining those who have discovered the other side of the state.